Looking for some new music to listen to? 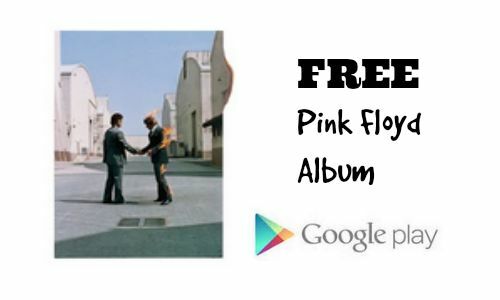 You can get a FREE Pink Floyd Album thanks to Google Play! Get the “Wish You Were Here” MP3 album with several popular songs! Note that you will need a valid Paypal or credit card to register on Google Play, but they won’t charge you. Just please make sure to click the “Free” button at the top of the page. Don’t add the individual songs for $1.29 each or you will be charged.